These people from Farmington and the surrounding communities are standing with me in my bid for city council. If you’d like to show your support, fill out the online form at the bottom of the page, and your name will be added to this list. My thanks to all of you! 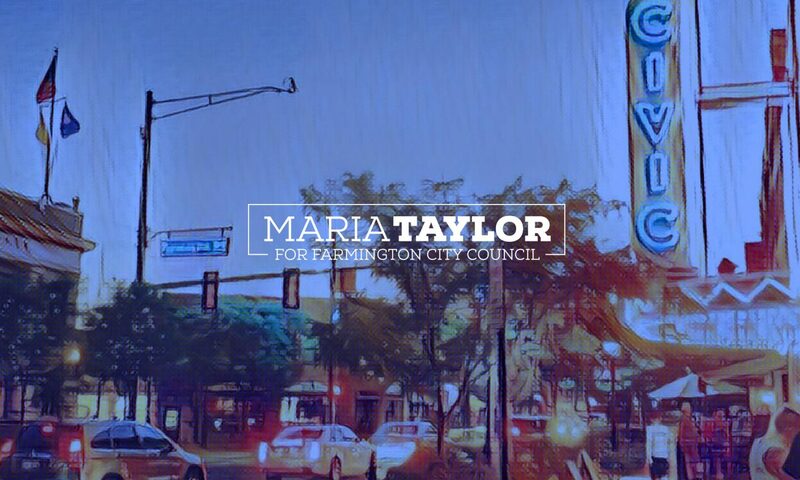 Please vote for Maria Taylor, she’s has the right stuff to make Farmington better for the community. Good luck, you will be a great addition to the Farmington Council! I like your ideas and and am eager to see positive change on our City Council. Thank you for tossing your hat into the ring. You have my vote.